Manna is the solidified sugary sap that flows from incisions made on the trunk and main branches of several species of the genus Fraxinus in the summertime. 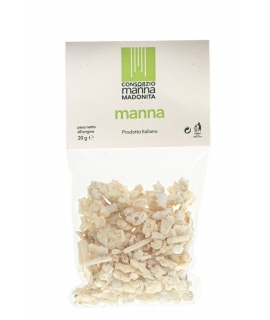 Manna is a sugary exudate consisting mainly of mannite, organic acids, water, glucose, fructose, mucilage, resins and nitrogen compounds. 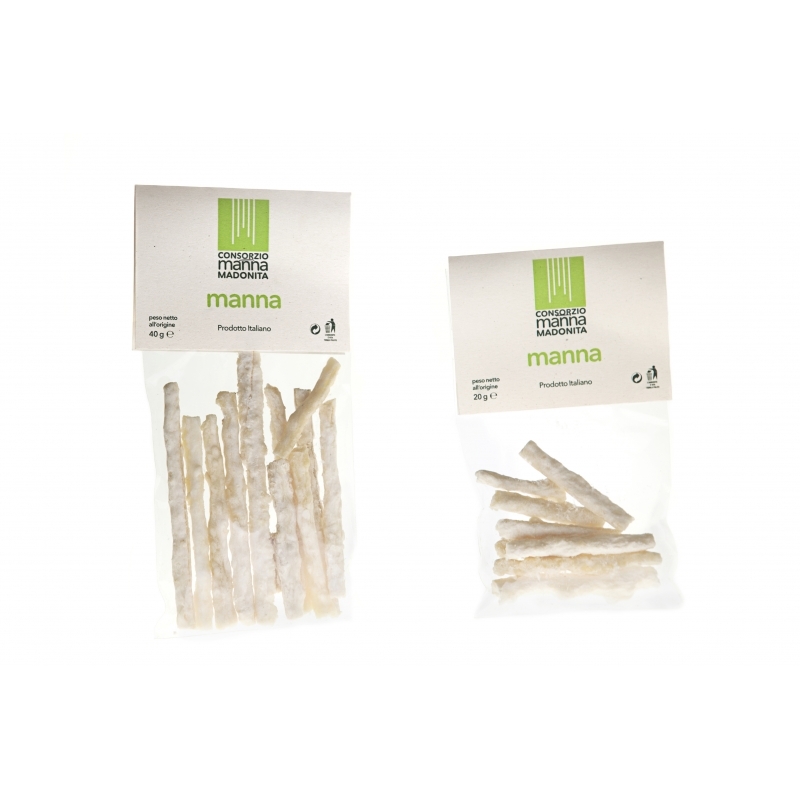 The product has a very complex quantitative and qualitative composition that is strongly influenced by the source area, exposure, chemical characteristics of the soil, age of the plant and seasonal trends. 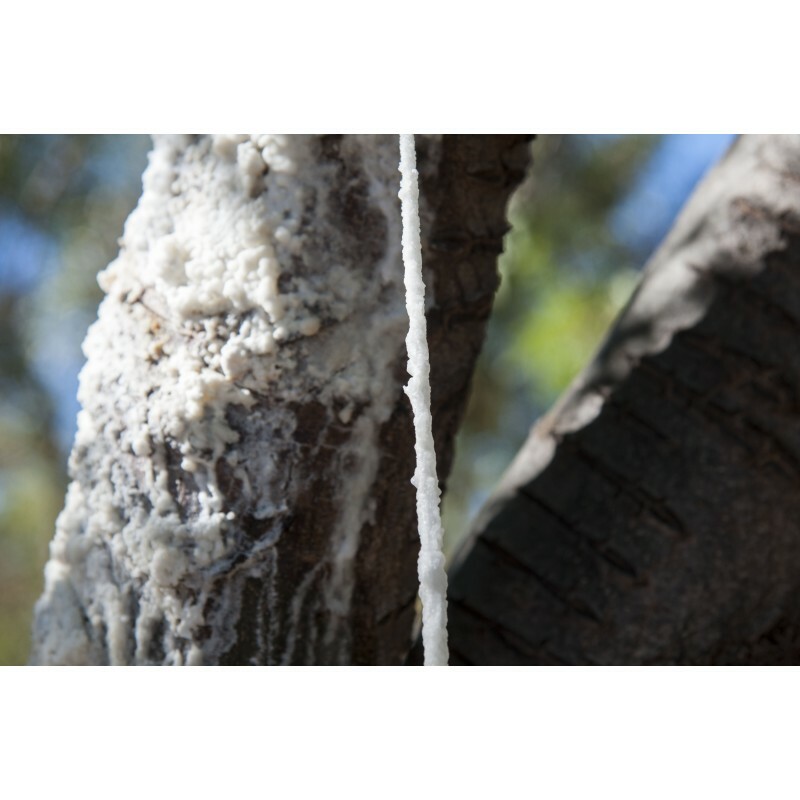 Manna in “cannoli”, or long hollow tubes, is formed as sap drips down the bark, assuming the appearance of a stalactite. 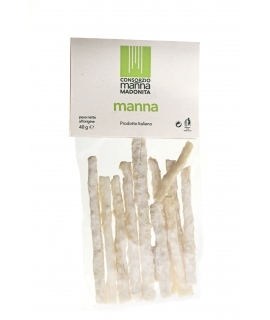 This is the most prized form of manna because it is almost completely free of impurities. Over the years, a system developed of using a nylon thread connected to a small steel plate placed under the incision, which allows for a harvest every two days instead of weekly with the traditional method. What’s more, the updated method results in longer, nearly pure “cannoli.” Immediately after World War II, the harvest suffered a rapid decline. 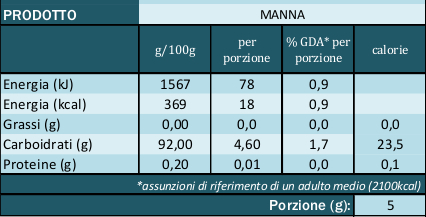 Manna production was relegated to restricted areas of the Madonie district, particularly the areas around Castelbuono and Pollina. Here the last generation of ash grove cultivators – just over one hundred farmers – continue to keep the harvest alive. These “frassinicoltori” help ward off the disappearance of an agricultural heritage, one that played a leading role in the local economy for centuries and offers unique nutritional and organoleptic properties.